Investment refers to the purchasing of products and services for the future gains of an individual, a family unit, or an institution. Though these products and services are not purchased for immediate consumption, they have the potential to create higher future returns for the investor. Some of the products and services that can be used as an instrument for getting personal financial returns are: bank products, bonds, stocks, investment funds, annuities, educational investments, insurance, retirement plans, and so on. By adopting a wise investment strategy and a diversified investment portfolio, returns can be maximized and your financial goals can be achieved for both long-term and short-term tenure. The short-term financial plan is adopted for short-term monetary gains, wherein the returns can be expected within a year that is attributed with low-profit and low-risk factors. Examples of the short-term financial plans include savings account investments, fixed deposit scheme, and money market funds. On the contrary, a long-term financial plan can be adopted for long-term monetary gains, wherein the duration of the plan can extend for more than year. Generally, short-term assets are sold in the market after the maturity period, which provides good returns for the investor. However, long-term assets are held in the investor’s possession and can earn returns in the form of dividends or interest as declared in the financial market. 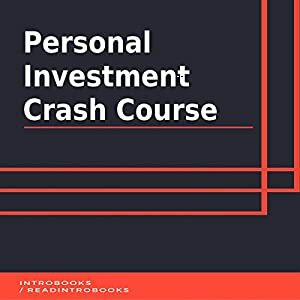 While there are various type of investments available in the market to gain profitable returns, many types of risks prevail while adapting the personal investment plan. These risks can be mitigated by availing some of the insurance coverage bonds. For example, an individual’s life can be covered through life insurance coverage, a vehicle asset of an individual can be covered through an automobile insurance coverage, and a retirement plan of an individual can be covered through long-term care insurance. Further, due to the volatile nature of the financial market, it is important to understand the various types of investment plans available in the market and the kind of profitable returns that can be expected by adapting the investment plans. Some of the well-known investors who have succeeded in the financial investment market for a long time, such as Warren Buffet and Edward O. Thorp, have attributed their success for adopting long-term investment plans with due diligence. Hence, any individual, business unit, or family must be well-versed in the money management principles to meet the financial requirements and goals for a long-term.